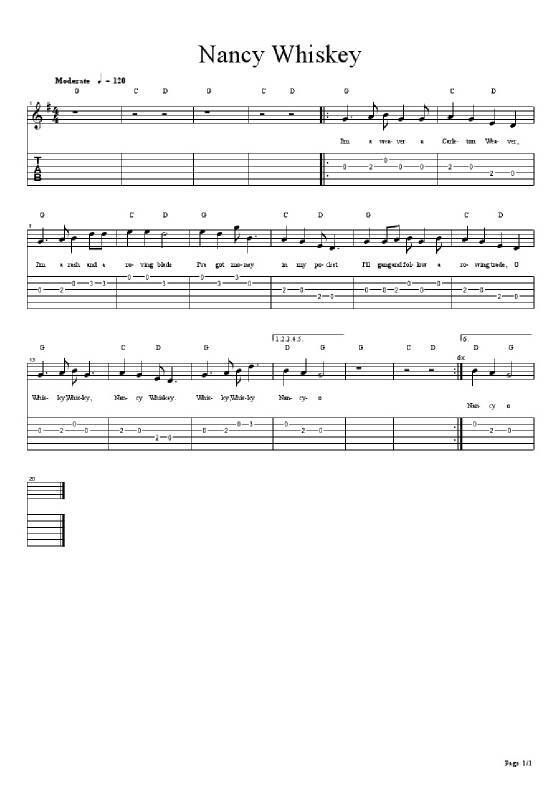 Nancy Whiskey Sheet Music And Tab. An old traditional Scottish tune which was recorded by many groups including The Dubliners, Shane MacGowan and The Clancy Brothers. Banjo / mandolin notes included.